Click on the image to enlarge. This list of all the super-hero films coming out through 2020 comes from Yahoo! Why are all these genre-specific films coming out, with huge budgets spent on them, at this time in history? These are pertinent questions, in fact, many film theorists would say these are the questions forming the only real basis for studying film at all (I wouldn't say that but some would). We didn't see films like this, or with the audience response, prior to 2008 (Marvel was in the garbage can, to put it mildly, until Iron Man came out in 2008, describing a United States that no longer exists; granted, Batman Begins came out in 2005, but that was more of a hero film, rather than a "super-hero" film, not the kind of films being made today). So, what happened, crossing that 2008-threshold? Not only do the super-heroes remind us of the "super-power" stature that America was--hopefully so we can try to rise to that again, as the world falls to pieces--but so Americans can be reminded of who we are and why we are what we are: there's not point in having a Captain America that Americans can't relate to, or a Super Man we can't aspire to become ourselves, or a Thor who doesn't exhibit heroic virtues, or a Wonder Woman that doesn't know what leadership is about or a Wolverine who won't sacrifice everything to save the world. We have to be reminded of these (essentially) morality issues because the actual leadership of this country isn't doing it. These super-hero films remind Americas that, we not only have standards, we have "super standards." On an entirely different note, I have no intention of making this a blog solely about trailers being released, even though the only posts I have managed to get up lately have been those. I saw Guardians Of the Galaxy and loved it, EXCELLENT film, but haven't made it to either Hercules or Teenage Mutant Ninja Turtles (which had a fantastic opening weekend, so TMNT 2 is all ready in the pipes with a reserved release date). 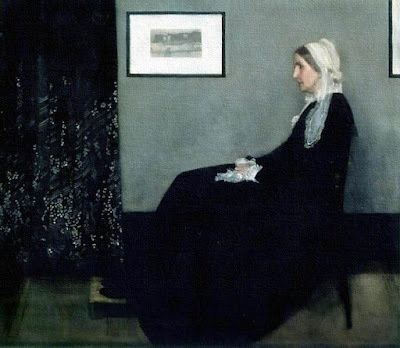 Writing on a sustained topic has just become so difficult, I can't seem to write anything nor complete that which I can write. Sigh. Thank you for always stopping by to check for a new post. Now, the last film I saw Richard Gere in was Arbitrage, a decidedly pro-socialist, rabidly anti-capitalist film (come on, Susan Sarandon was in it, I did get the post up on that one: Capitalizing On Imbalance: Arbitrage). I don't know for sure, but it seems, given the overt pro-capitalist message of the first film, that Gere's appearance might be like Robert Redford's in Captain America: the Winter Soldier, or Ben Affleck in Batman vs Superman, Julianne Moore in Mockingjay or Whoopi Goldberg in Teenage Mutant Ninja Turtles, Josh Brolin as Thanatos in Guardians Of the Galaxy, namely, a way to demonstrate to the audience that the actor they are seeing is the villain of the film, the actor and what they stand for and advocate. I could be wrong, but there are quite a few films we know doing this so it's worth our consideration. 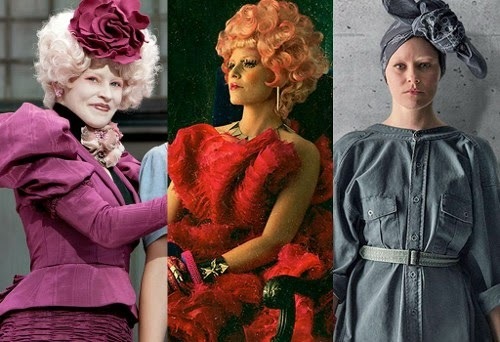 Effie Trinket (Elizabeth Banks) as she appeared in The Hunger Games and Catching Fire; on the far right is her poster for Mockingjay (due out in November). I am fascinated by theoretical physics, and were I able to do math, I definitely would have gone into this field, so it is interesting to me. Hawking is an atheist even though Jane, the woman he married, was/is a devout Christian. This film may rather be like the newest Benedict Cumberbatch film, The Imitation Game, reminding Britons of their great accomplishments and spirit and not to give in, not to surrender, but I can only hope; it certainly communicates hope, doesn't it? Speaking of Mr. Cumberbatch, my favorite "looking-forward-to-film" has released their second trailer! What song plays in the background? No, not Riverdance, Kenny Loggins' Danger Zone, which was featured in Tom Cruise's 1986 hit Top Gun, the ultimate movie about competition; so, why would they bring this in? Skipper and Classified (the wolf, Cumberbatch) are like Tom Cruise and Val Kilmer in Top Gun, they are busy competing with each other, instead of working with each other. Part of the conflict--and rightly so--stems from North Wind's task to "help animals who can't help themselves," which is a worthy and noble task, but--as Skipper points out--"If anyone's going to save us, it's us." Self-sufficiency and personal responsibility are not points of the socialist gospel.